SteriPEN is a UV light designed for disinfecting drinking water anywhere you go. Simply put the flash drive shaped device into your drinking glass, press a button, and stir for a minute (48 seconds, actually). A green LED will light up to tell you when the treatment process is complete. 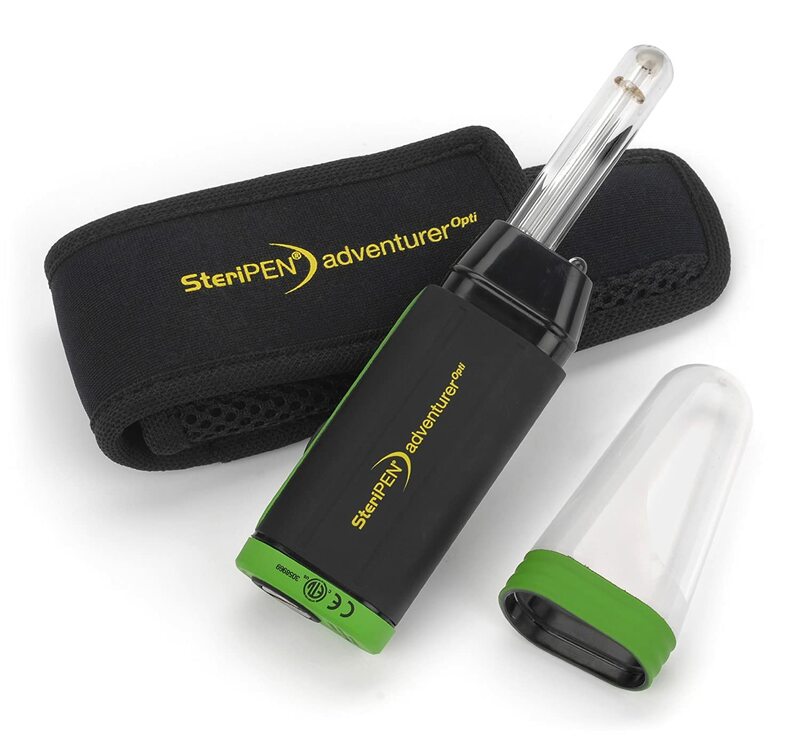 SteriPEN claims to “destroys over 99.9% of bacteria, viruses and protozoa such as giardia and cryptosporidium.” This is a great tool for globe trotters looking to avoid the trots! It even charges via a micro USB port and goes 40 uses between charges. SteriPEN Freedom is $120. Older models (sans USB port) can be found on Amazon for even less.